If you have a story to tell about MCTC's training, please send it to the MCTC Registrar Office, and we will add it to this page. "MCTC fills a significant need for training where budgets are tight. It's central location in the state equates to low cost for travel, per diem, and lodging. The variety of instruction topics is highly valuable for officers in specialized units as well as newer officers looking to specialize later in their careers." "The information you gave us at the Criminal Patrol Tactics for the Rural Officer course was invaluable and I have used it since the class. My first shift back and on my second stop, I had almost every indicator you had talked about. I had asked the driver for consent to search, and through my search I found everything I needed to charge the driver for possession with intent to deliver and possession of drug paraphernalia. I couldn't believe how much more information I was picking up on during the stop." 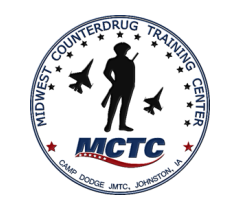 "I recently attended the Steve Rhoads' Interview and Interrogation class through MCTC at Camp Dodge in Iowa. I took the week long course during a very busy time, as I was investigating a large burglary and theft ring.The time away from the case to attend the class was very beneficial, however, because of the skills Dr. Rhoads taught me, that I soon put to use. As soon as I returned home, I was more confident to be able to interview, interrogate, and detect deception. This course helped me so much! Numerous suspects are facing many felony charges as a result. Thank you Dr. Rhoads, and thank you MCTC. And I know the victims in these crimes woud like me to extend a THANK YOU on their behalf." "Just wanted to let you know that your class I attended at MCTC is already paying off for me. I just did my first interview since attending the class and it worked well. I got a confession on 3 recent burglaries. The kid was a pretty tough interview but we got it done. The funny part of this story is that as he walked out of the interview room he stopped, looked at me, and said, 'you are really good at this'. I'm looking forward to trying it again this week on two separate arson suspects." "I just wanted to write a quick note to you expressing my thanks for bringing the Interview and Interrogation class to Spokane last week. As you might be aware, this class was attended by 53 students and filled up three months in advance. Dr. Rhodes was extremely impressive and knowledgeable, and his assistant Jeremy, was very helpful. The reviews I have received from members of my agency that attended this class were excellent, as many thought this was one of the most beneficial classes they have ever attended. I am always impressed by the high level of instructors that MCTC uses, and I look forward to working again with you in the future." "I just wanted to let you know the Video Techniques for Law Enforcement course is first class. I am already using some of the knowledge learned in the class. Also the instructor Wadi' Sawabini was top notch. He stopped by yesterday since we got a new piece of equipment. He spent an hour going over the new camcorder which was intimidating before the short lesson. This is what I call CUSTOMER SERVICE!!! I also want to extend my praise to MCTC as a whole. Each time I have attended a course the treatment has been above and beyond."